Here you will find all press releases and media coverage of ISEBOX. ISEBOX, a Tech company specialising in multimedia distribution for PR, has received backing from Invex Capital to support its continuing growth in PR and Communications. 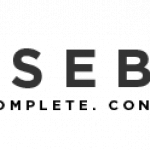 Formed by Marc de Leuw, founder of broadcast PR company TVC, which was acquired by The Economist Group in 2012, ISEBOX is a one-stop platform for distributing campaign videos, images and literature to media and press. Clients include CSM, FleishmanHillard Fishburn, Michael Kors and Nike. New York, NY, June 16Peter Shankman joined ISEBOX VP Joe Witte to discuss the importance of earned media, how we can better relate to journalists and how our digital solutions need to consider the needs of reporters. This webinar is based on a 2016 journalist survey Corporate Newsrooms Failing To Meet Journalists' Needs For turnkey Media Center and Content Distribution SaaS Platform Solutions that are "Journalist Approved", please visit ISEBOX.com.